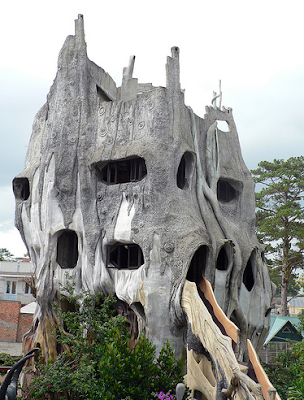 I'm fairly astounded by the Crazy House, in Dalat, Vietnam. 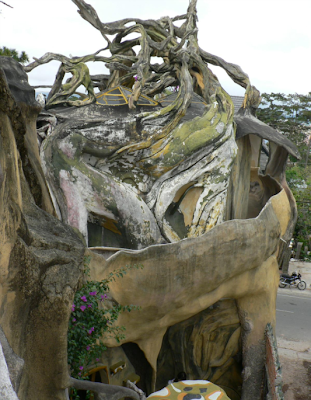 Sure, this isn't the first time someone's attempted to construct a giant tree trunk out of cement, but the Dalat tree really stands out. 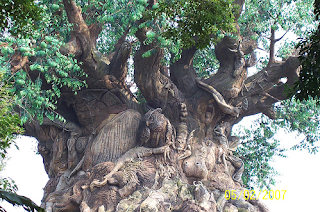 The Disney Tree, eternally green and rising high above Animal Kingdom, is meant to represent "the circle of life"
The Dalat tree appears physically dead, dry, and sun-bleached. 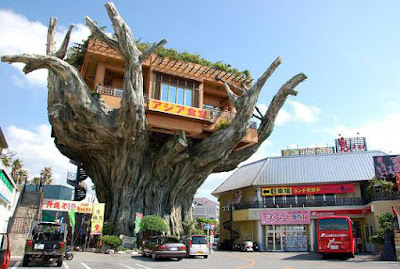 All branches within the house appear likewise dead. 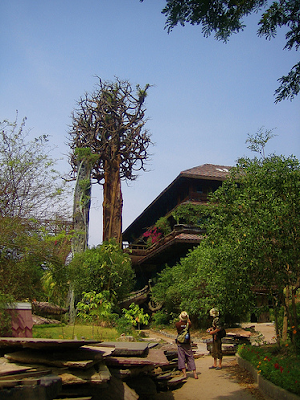 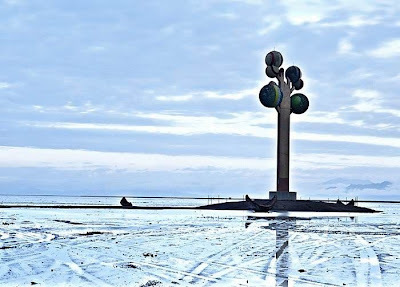 Dang Viet says that, after witnessing the destruction of pine forests and deterioration of the environment, she was inspired to raise public awareness about our delicate environment, using architecture as her medium. 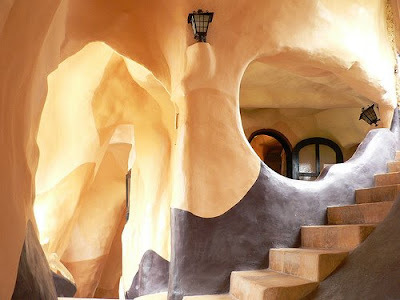 The resulting house is a warning of sorts.